I am an Engineer for the Modular Observation Solutions for Earth Systems (MOSES) project working on instrumentation for accessing rapid permafrost thaw. Before that, I was a research professional II at the University of Alaska Fairbanks. 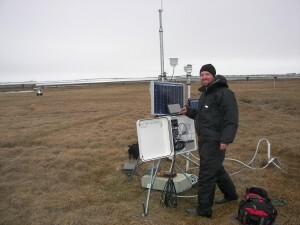 I worked mainly to keep the Geophysical Insitute Permafrost Laboratory's network of permafrost observatories running as well as handling the data from these sites. Additionally, I was developing and building new sensors for the lab to use.